Top Dog Sitters offers a carefully selected group of caring, loving homes for dogs to holiday in while their owners are away. 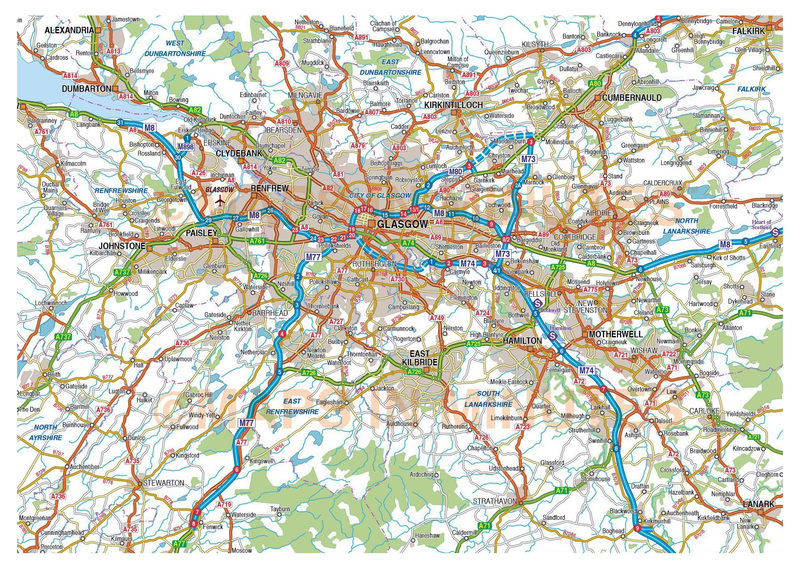 We offer various homes in and around Glasgow (see area map below) and have been operating for over six years now. Caring for pets is an enormous responsibility and a huge commitment which we take very seriously, so all our homes are very dog friendly, have enclosed gardens, and sitters who are available to care for your dog all day, every day. Your dog will receive lots of long walks, lots of cuddles and are looked after like part of the family. Before we accept any bookings, we ask all owners to visit the sitters home (with your dog), where you will meet the sitter, see the home and check how your dog settles into their new environment. When your dog returns for its full holiday it will therefore recognise the scents and surroundings, which helps it settle and puts your mind at rest knowing it is looking contented. 1) If you have an enquiry, please call us on 0141 280 8858, or complete the enquiry form on the right hand side. 2) We will register your dog(s), talk through the sitters that are available for your dates, and make an arrangement for you to visit the sitter. Or you can click here (https://topdogsitters.co.uk/register-your-dog-2/) to register online (there is no charge for doing this). 3) After your visit, if you are happy to progress, we will confirm your booking – at this time a deposit is payable. 4) On the day of your trip, you would drop your dog at the sitters along with their bed, food, toys etc. At this point we would need to see their vaccination card, and know they are up to date with their boosters, flea and worming treatment. The balance of your stay is then due to the sitter. 5) During your trip (if you have requested), your sitter can text to let you know how their stay is going. We are sure your dog will have settled quickly into their new, relaxed environment but it is always good to put your mind at rest. 6) On any future stays, you can contact the office to check availability, and if your chosen sitter is not available we can look at some alternatives for you. Top Dog Sitters aim is to provide the most suitable holiday home for your dog while you are away. Unfortunately, we cannot accept dogs that show signs of aggression, are not house trained or are likely to damage the furniture. Also, if they normally live outdoors or are not well socialised, they would not cope well within a home environment. In extreme cases, if a dog does becomes destructive, aggressive or highly anti-social during their stay, for the safety of everyone we would have no option but to contact you and make arrangements for them to be collected, or kennelled at your cost. This is an extremely unlikely occurrence and every effort would be made to avoid this situation. We cover Glasgow and surrounding areas, however please call if you so not see your location on the map. Is your dog castrated / spayed?